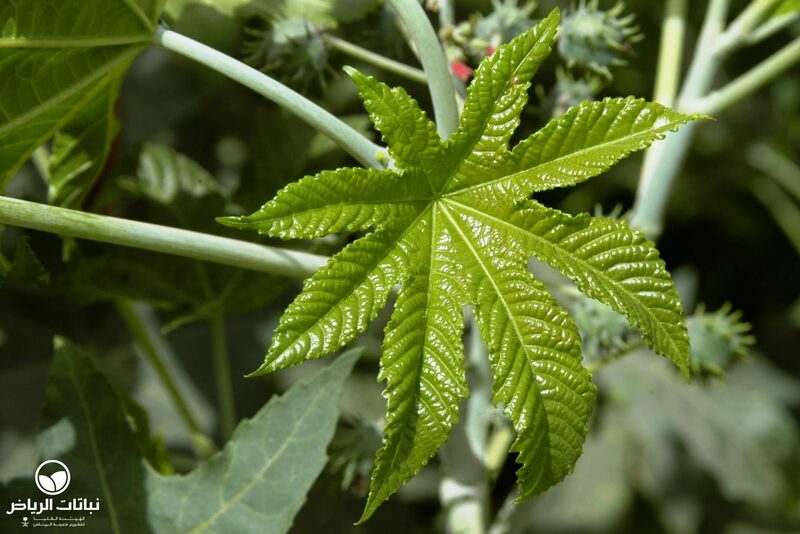 Ricinus communis has the common name of Castor Oil Plant: in Arabic, it is known as al kharwah. The area of distribution extends across Burma, northern Asia and northwest China. 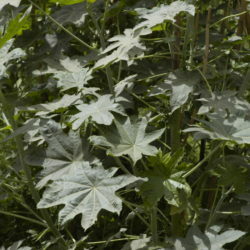 This annual shrub-like plant prefers tropical to sub-tropical climates, and is not frost-tolerant. 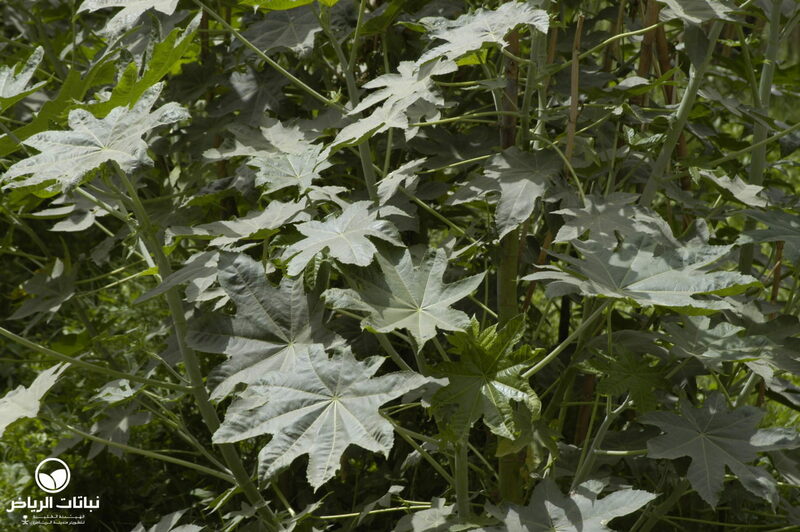 Ricinus communis grows fast, and reaches a height of between 2 and 3 metres. It is often multi-stemmed. 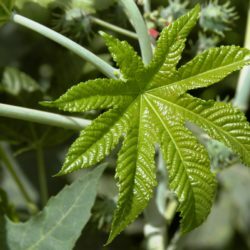 The leaves are mainly green and sometimes appear as dark red; they are whorled, entire and palmate. 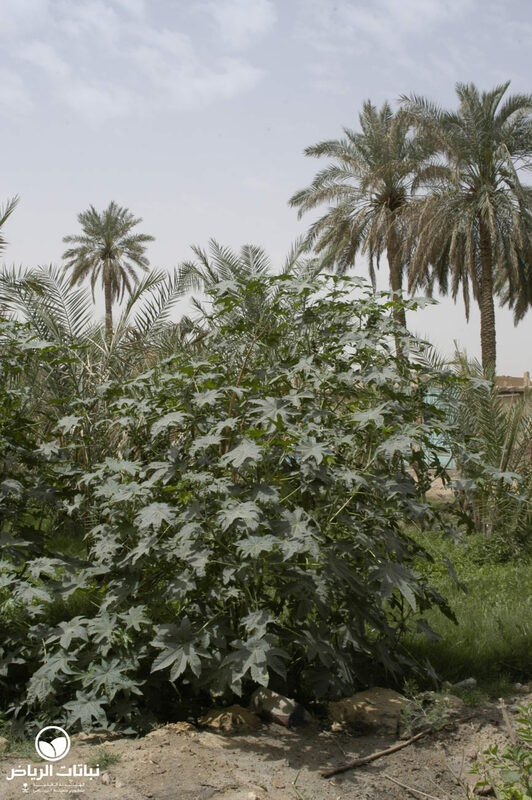 The flowers appear in summer in panicles with red-brown, hirsute globes. 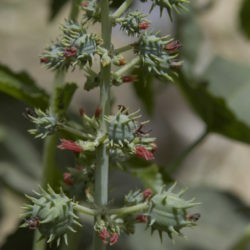 The plant is very impressive in its appearance. 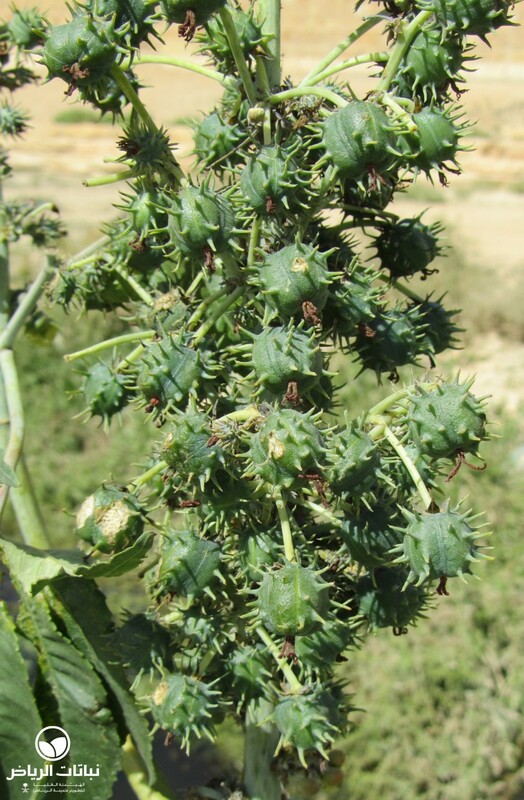 The fruits are capsules that contain seeds which look like ticks. 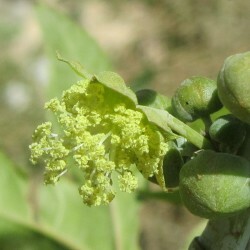 The plant is named after its seeds. 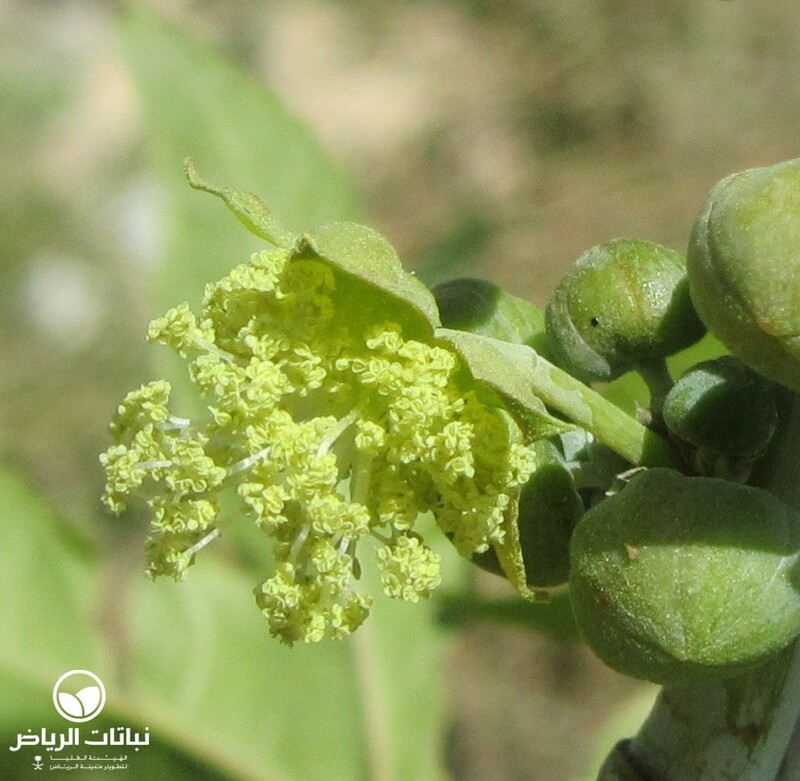 All parts of the plant are highly poisonous, especially the seeds. 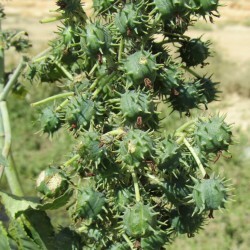 The oil from the seeds is not poisonous, and was used as a remedy. 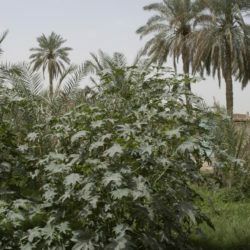 The irrigation and nutrient requirements are high. 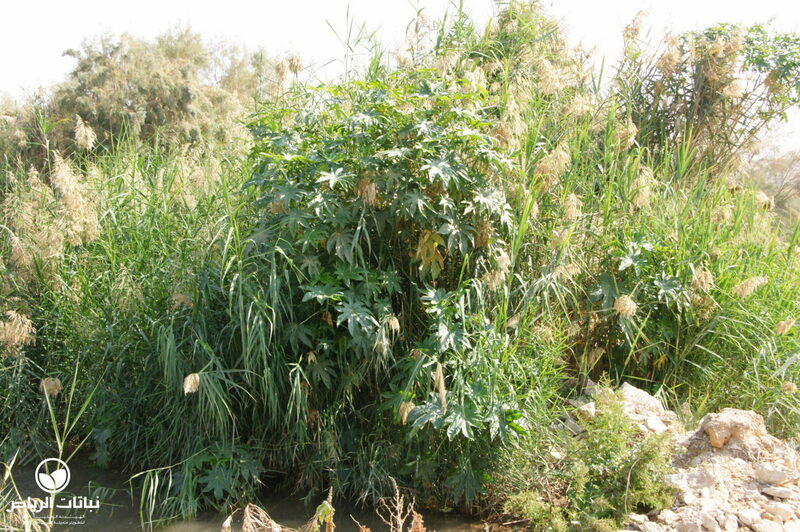 In Arriyadh, the plant can be found growing wild in the Wadi Hanifah close to the water course. 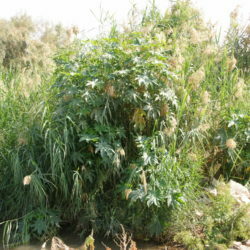 Because of its poison, it is often removed, although for some this is an attractive ornamental plant; in Europe, it is used as a summer bedding plant. However, it must doubtless be controlled because of its invasive character. Susceptible to insect attack, propagation methods are direct seeding or sowing and pricking out. In landscape design, it can be recommended as a background plant. 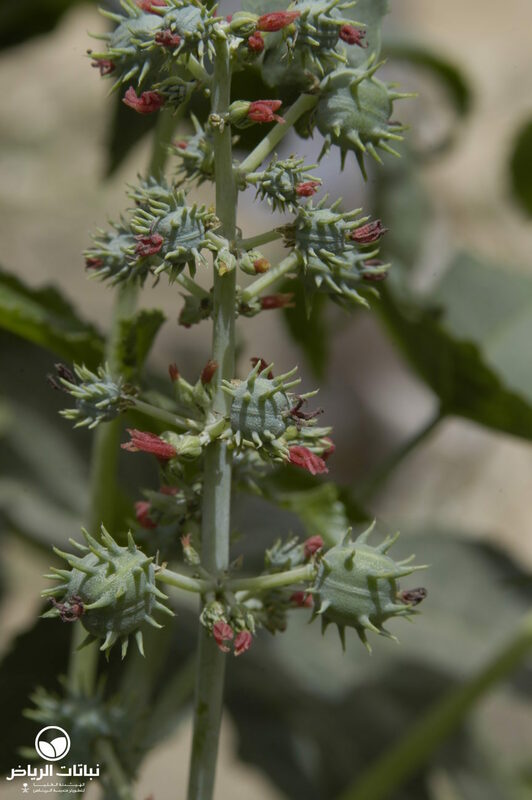 This bee-attracting plant can be planted for foliage effects in public open spaces and parks, bearing in mind that its seeds are poisonous. It also looks well in containers.